Have a leaky faucet? Need to replace that worn out furnace? 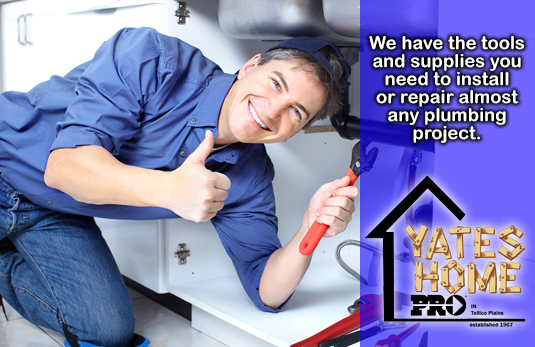 At Yates Home PRO, our Plumbing & Heating department offers brand name products at competitive prices. Whether you are looking for tubs and showers or gas stoves and accessories, we have you covered. With hundreds of items in stock, we can help you complete any project.